This summer, spend time reading with your kids. Reading is critically important to your child's development. Do what you can to help your child learn to enjoy it. 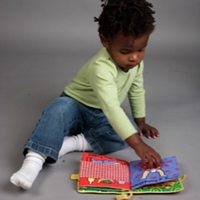 Lifelong reading is one of the keys to success and this habit is best instilled at a young age. 1. Let your children see you reading and relaxing. Enjoy a good book by the pool or at the beach, the paper with your morning coffee, or a magazine. Snuggle with your child and enjoy a story together. Read before bed or anytime throughout the day. It only takes a few minutes. Keep books around the house. Your child might surprise you and pick one up when he has down time. 4. Go to the library, like the one here in Riverhead, NY. Most of the local libraries have summer reading programs. Check out what’s available at your library. 5. Let your child pick any books that interest him or her. Any books are good books: fiction, non-fiction, picture books, magazines, etc. Don’t worry about how much time you spend, how educational the content is, or what the reading level is. It's the simple act of reading that counts for your child. Just read and enjoy! Next time you are at Peconic Pediatrics, take one of our books home. We have a library of gently used books in the waiting room. We encourage you to take a book home after your next visit because we love it when our pediatric work leads to further growth.